On February 19th, theatre goers had the opportunity to travel back in time to celebrate the spirit of exploration along the Silk Road. Set in the Edwardian age, the evening at the Arts Club of Washington featured a "guest appearance" by the famous Swedish explorer Sven Hedin who shared accounts of his most exciting adventures. 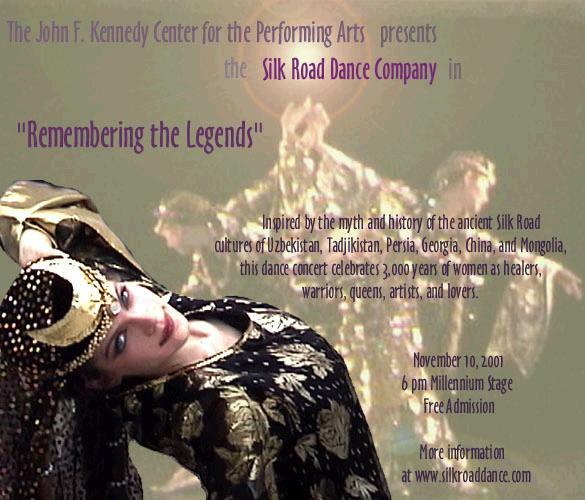 Woven throughout the evening will be traditional dance performances by Silk Road Dance Company from the very places Hedin visited, such as Baku, Tehran, Samarkand, and Bukhara. Known as the “last of the great explorers,” Sven Hedin made five journeys to Silk Road regions – including Persia and Central Asia - between 1885 and 1908. He was a prolific writer whose exciting travel accounts captured the public imagination and increased Western awareness of many places, like the Taklamakan desert, that had earlier been just a “white space” on the map. A student of TGerman geographer Ferdinand von Richthofen, who coined the term "Silk Road," Sven Hedin, extensively explored and mapped vast expanses of the Silk Road. Although Hedin’s primary contributions were in the geosciences, his accurate sketches and photographs of the people he met, as well as detailed written accounts, have proven to be ethnographic treasures. Baltimore-based actor Sean Coe portrayed the man who was the last Swede to be raised to the nobility in recognition of his scientific contributions. Performances by Silk Road Dance Company enhanced the ethnographic aspect of Hedin’s explorations with beautifully costumed dances. Inspired by Silk Road Dance Company's performance trip to Qatar, The Pearl of the Gulf is a magical dance journey into the World of the Arabian Nights. 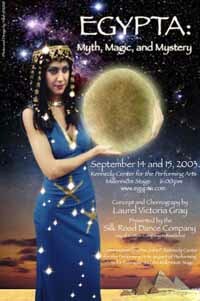 The final scene "In the Underwater Kingdom," was commissioned by DANCE METRO DC, and choreographed by Laurel Victoria Gray, performed by Silk Road Dance Company and Guest Artists. Based on Nizami's 12th centruy epic poem, Haft Paykar celebrates ethnic diversity, extols the beauty of other cultures, and praises the wisdom of women. In the tale, the young warrior Bahram Gur enters a mysterious, locked room to discover the portraits of seven beautiful princesses, each from a different land. After he wins a kingdom and achieves great wealth and power, he marries each the maidens who in turn impart a moral lesson that will help him become a righteous ruler. 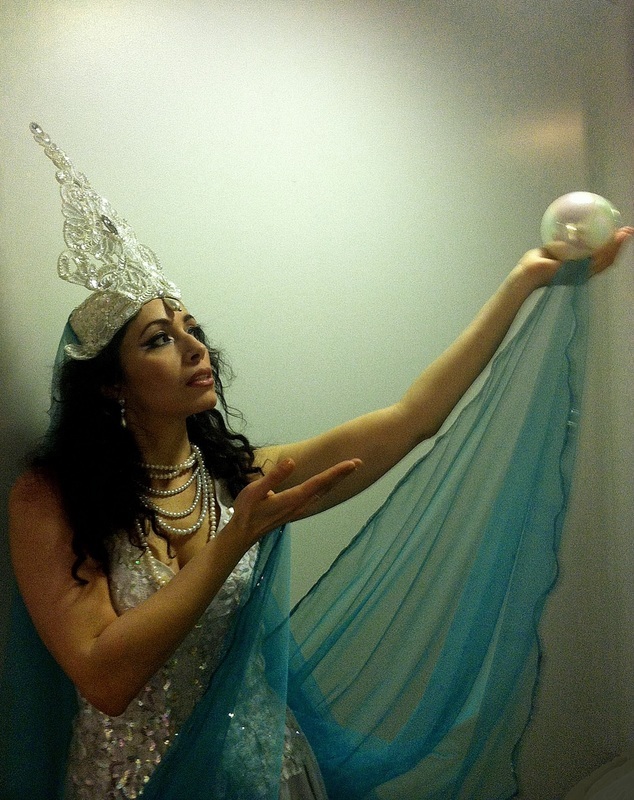 to the heroic Queen Esther, from a Mesopotamian goddess to celestial Buddhist maidens, the Silk Road Dance Company presents an enchanted evening of mystical adventure. Highlighted by breathtaking costumes and compelling music, Legends includes rare dances of Iran, Uzbekistan, Tajikistan, and the Caucasus Mountains. Hooray for Bollywood brings all the color and glitter of the Indian film industry to the stage. The concert length performance, presented by Silk Road Dance Company and guest artists, pays homage to the vibrant dance sequences so popular in Indian movies like the recent Academy Award winning film Slumdog Millionnaire.. Highlights include a Rajastani folk dance, a visit to a magical temple, a romantic boat ride, a candlelight ritual and -- of course --a wedding party. Excerpt from poem "The Golden Road to Samarkand"